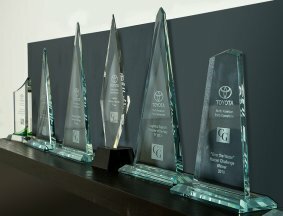 Custom Goods takes pride in team-thinking and implementing award-winning processes. A critical facet of our service is “process analysis”, a self-examination of procedures, materials, transportation, work flow and how best to adapt to our customer’s logistic needs. Our track record and proven performance has allowed us to implement benchmarked logistic services for new and existing clients. Tony Gregory, CEO, explains how when adding personnel to the CG team, it becomes an extension of both company culture and expertise. In bringing Alan Oto on board we sought out a person who worked with global automotive companies in all supply chain and logistic solution sectors. Someone who strived to satisfy and retain customers by managing costs through processes and procedures that impact bottom line. Alan brings a wealth of disciplines gained through 20+ years with Toyota launching, analyzing and managing people/programs in the US and Mexico. 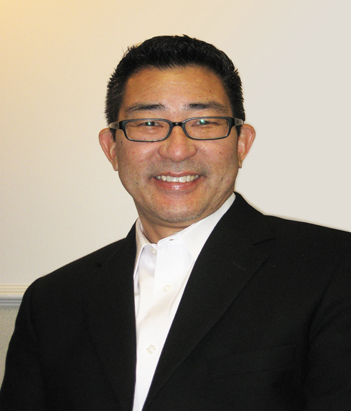 At all times, Alan performed onsite Kaizen studies to assure compliance and performance within the supply chain. Alan joined the CG management team in early December and as the General Manager, he will be ensuring the smooth running and efficient operations of major programs for leading Automotive companies. CG programs currently in place include: Direct to Dealer Programs in Canada, Alaska and Hawaii, Dealer Consolidation Programs, Dealer Return Programs and Damage Free Delivery Guarantee Programs. The Kaizen process is ongoing and Alan will be honing existing programs and logistics to better serve current and future clients. We looked at Alan and his impact on CG’s future growth. His strengths will help CG evolve from the standard everyday functions of warehousing, distribution, transportation and packaging into a hybrid, value-added, process driven company that meets and exceeds our customer’s expectations. CG’s list of Benchmarked Service solutions will expand under the direction of Alan. He will implement a new service called “CG-QB Services ©” Quality Benchmarked Services, which will feature the placement of a CG QB on the customer’s loading dock… calling the signals and making packaging, shipping and logistic decisions that optimize performance. It takes a great QB to get the most from an associate team…CG will train, support and provide our leadership on our customer’s loading docks. Alan looks forward to working with customers to optimize their logistic situation and invites requests for CG’s hybrid one-off solutions. Please have a look at our logistics awards page with this link. If you are searching for a trusted 3pl or 4pl logistics solutions company then take a look this link as well.